I'm going to start my Frugal Round-up by posting last week's FAN FAVORITE. Just a reminder folks...those like buttons aren't for Facebook...nope! They are your chance to vote for your favorite posts. Just click the thumbs up button for each post you really like (you can vote for more than one) and the one that gets the most votes each week is crowned that week's FAN FAVORITE. Which is quite an honor, you know, because my readers have great taste! So without further digression, last week's Fan Favorite was The Retro Kitchen Redo from Two-Thirty -Five Designs. A seriously amazing transformation! Less Than Perfect Life of Bliss shared her darling dormer treatment. So cute!! 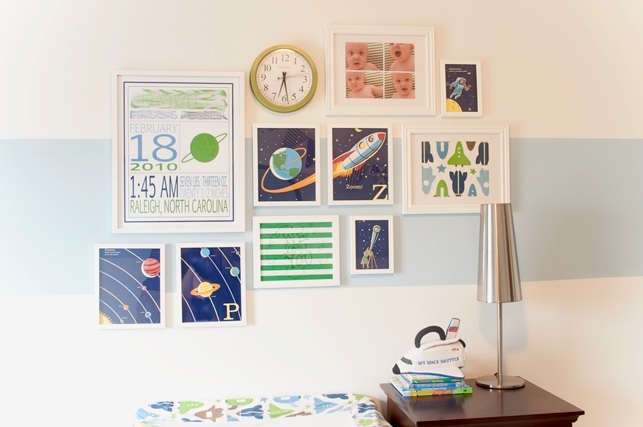 The Thrifty Abode shared her fabulous nursery gallery wall...you know I have a weakness for a good gallery wall! 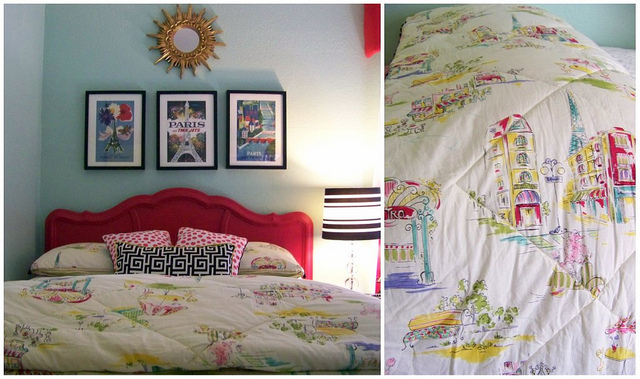 And Hi Sugar Plum shared her Parisian Chic big girl room. In. Love. With. That. Bedding. That is all. First up, Scissors and Spatulas shared her dining room reveal...I just love this lightened up version of her room! 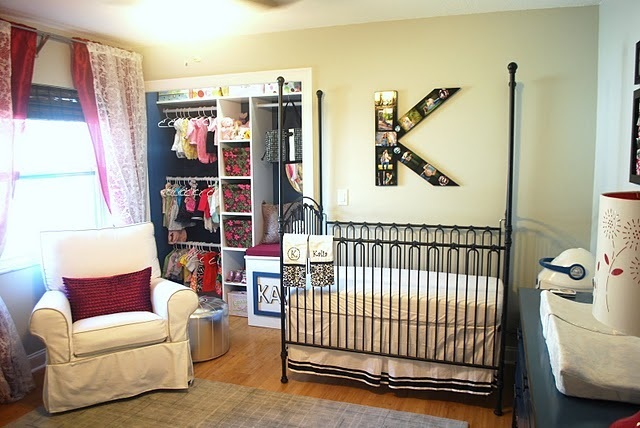 Kara's Corner shared her darling nursery...LOVE that closet! 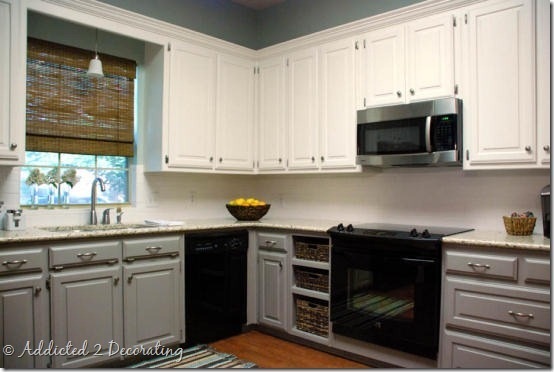 And finally, a great kitchen reveal from Addicted to Decorating. Paint + old cabinets = magic. Thanks for hosting.. i love the featured ones.. Have a great weekend! Thanks for hosting Wendy! Have a good weekend! Thanks again for hosting, Wendy! If you get the chance to check out my DIY Tufted Ottoman (#65), I would be thrilled! thanks for hosting! these are all such beautiful projects! 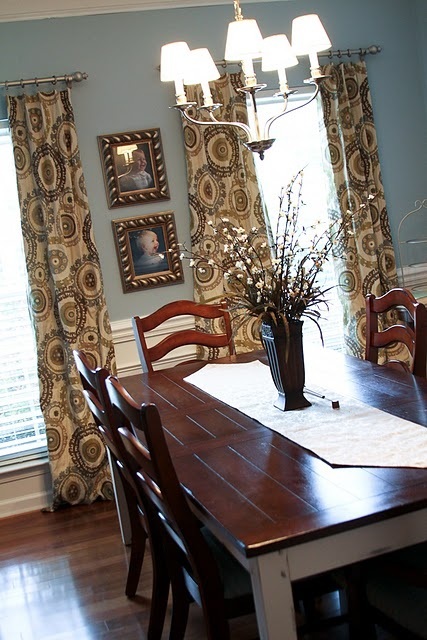 Thank you so much for featuring my dining room! And for hosting every week, of course! Love the posts you highlighted...the gallery wall and dormer treatment--so darling. 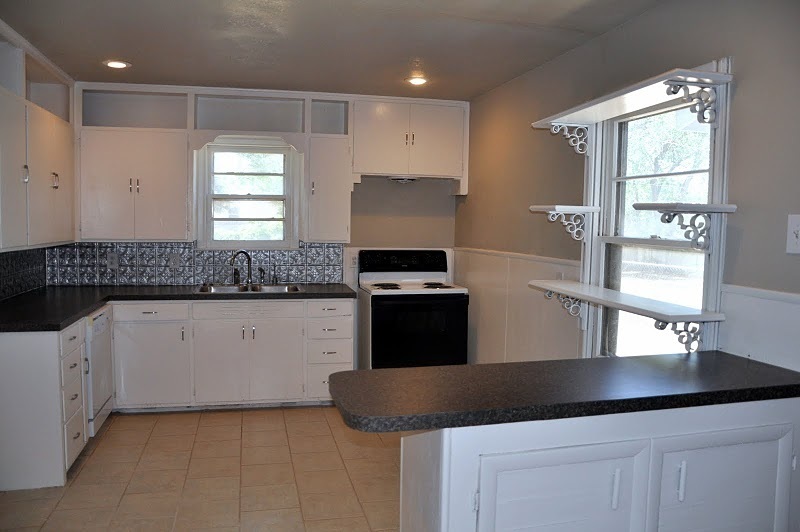 Can't wait to check out those kitchens! THANK YOU THANK YOU!!!! Humbled by being the most liked last week for the retro kitchen!! SO happy everyone loved it!!! Amazing talent as always. I'm hoping for suggestions of what to do with my wardrobe (#189). Any thoughts? Terrific features! Love that nursery makeover! Thanks for sharing and for hosting this party each week. 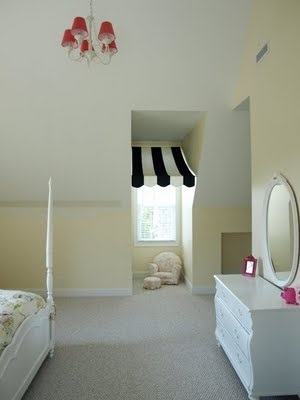 I love that little cute striped canopy! Gosh, Wendy, ♥ your new blog format. I want one just like it! Wendy, thanks so much for hostessing! love those dining room drapes and kara's nursery. great features! have a fabulous weekend. Thank you so much for hosting! What fun. I soooo look forward to seeing all the creative posts of the week! Thank you for hosting! Thanks for choosing my daughter's room, Wendy! and hosting the par-tay! Hi Wendy! I hope things are going well as you continue to settle in. I've been wondering how your husband's leg has been doing through the move--I'm sure there's been lots of physical labor involved for both of you. I'm linking up my little project of updating my front porch without spending much money--learning to be grateful for what I have even if it's not the most up-to-date thing in the world! :) Thank you for hosting a party dedicated to frugality in decorating! It is always a pleasure to pop in and find new inspiration and share snippets on your blog. Thank you for hosting the fun Wendy !